In this very special episode, John talks with Charles W. Mills (Philosophy, The Graduate Center, CUNY) about his new book, Black Rights/White Wrongs: The Critique of Racial Liberalism (Oxford UP, 2017). Mills walks us through some of the main arguments and concepts from the book, including the terminology of racial liberalism, the importance of white supremacy as a concept, his critiques of Kant and Rawls, the prospects for a “black radical liberalism,” and much more. But, the two build out the conversation to also discuss whiteness in the academy, race and ontology, the ongoing importance of historical materialism, whether liberalism can be reconstructed, and race and pedagogy in the political philosophy/theory classroom. We were thrilled to have the opportunity to speak with Mills – don’t miss out on the dialogue. Support us on Patreon to help us upgrade our recording equipment. Requests for texts for us to discuss? Dreams for us to interpret? Advice questions for us to answer? Email us at alwaysalreadypodcast AT gmail DOT com. Subscribe on iTunes. Follow us on Twitter. Like our Facebook page. RSS feed here. Thanks to Leah Dion for the intro music, and to Bad Infinity for music during the break and for the outro. Get the mp3 of the episode here. This episode features James, John, and newly-christened Always Already Correspondent M. Shadee Malaklou in a discussion drawn from a cross-reading of Calvin L. Warren’s “Black Nihilism and the Politics of Hope” (2015) with Frank Wilderson III’s “Gramsci’s Black Marx: Whither the Slave in Civil Society?” (2003). The spirited conversation covers the relation of (anti)Blackness to the constitution of the p/Political, its structuring logics of linear progressive time and rational civic engagement, and how the Political ultimately fails to achieve emancipation. We interrogate whether Western metaphysics is constitutively anti-black (spoiler alert: yes), and position Black Nihilism alongside Afropessimism, Black Optimism, and Afro-Futurism (all with their due™) to think through their various genealogies of production, the deeply affective labor asked of Black scholars who work on Black suffering. The episode concludes with an ode to the ever-needed wisdom of Black feminism. Is all hope lost? Take a listen and find out. Thanks to the anonymous listener who requested this episode. Support us on Patreon to help us upgrade our recording equipment. Requests for texts for us to discuss? Dreams for us to interpret? Advice questions for us to answer? Email us at alwaysalreadypodcast AT gmail DOT com. Subscribe on iTunes. Follow us on Twitter. Like our Facebook page. RSS feed here. Thanks to Leah Dion for the intro music, to B for the outro music, and to Bad Infinity for the music between segments. Get the mp3 of the episode here. 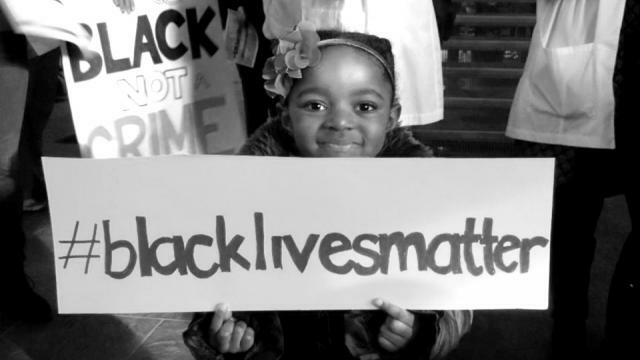 In this special round-table discussion on Black Lives Matter, James is joined by Travis Harris, Shana Haines, and Tyrell Cooper, activist-scholars from the Hampton Roads region of Virginia. This robust conversation details the wider Movement for Black Lives and covers issues related to the many forms of state-instantiated violence against Black bodies beyond police brutality, the representation of #BlackLivesMatter in media, and critically raises the question of visibility for sexual and gender queerness within Black liberation movements. Though this difficult subject matter is approached soberly, this dynamic grouping was able to bring levity to the conversation, and at times the tea in this episode is served piping hot! Get up to speed on Black social death and resistant Black joy in contemporary America by listening now. Remember to support us on Patreon to help offset/reimburse the cost of our fancy new microphone, which we have named Lacan. Requests for texts for us to discuss? Dreams for us to interpret? Advice questions for us to answer? Email us at alwaysalreadypodcast AT gmail DOT com. Subscribe on iTunes. Follow us on Twitter. Like our Facebook page. RSS feed here. Thanks to Leah Dion and to Jordan and to B for the music. Get the mp3 of the episode here.